BOSTON - A Massachusetts funeral director is striking out in his search for a place to bury the Boston Marathon bombing suspect killed in a gunbattle with police. Worcester funeral home director Peter Stefan said more than 100 people in the U.S. and Canada have offered burial plots for the body of Tamerlan Tsarnaev. But officials in the cities and towns where the graves are located have said no. "It's not only Massachusetts that doesn't want him," Stefan said. "Nobody wants him." 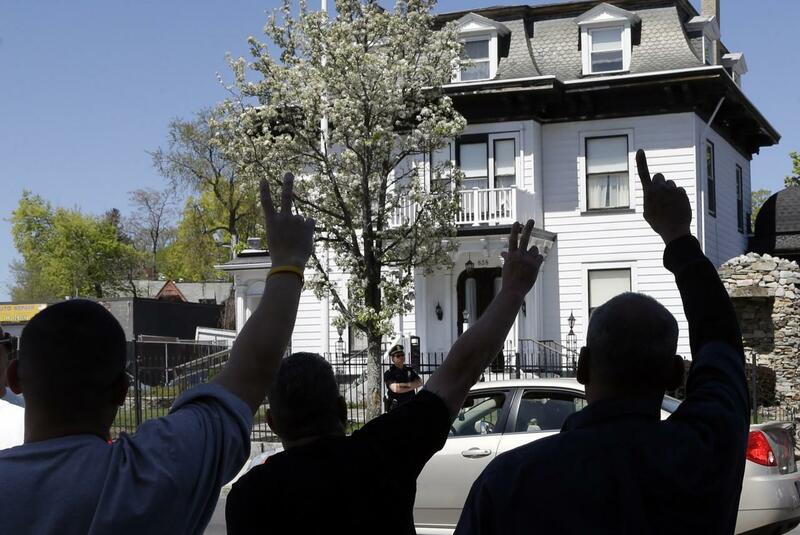 The city manager in Cambridge, where Tsarnaev lived, has urged his family not to ask to have him buried there because the attention would make it difficult for residents trying to get back to their lives. Tsarnaev's mother, Zubeidat Tsarnaeva, told The Associated Press in a phone interview that she wants to bury Tamerlan in her native Dagestan, but Russia is not allowing her to bring back the body. The Foreign Ministry said it is a consular matter that needs to be taken up with the Russian Embassy in Washington. Stefan said he doesn't think Russia will take Tsarnaev's body and he is working on other arrangements, but he declined to be more specific. The Tsarnaevs are natives of Dagestan and Chechnya, provinces in southern Russia, but spent little time in either place before moving to the U.S. a decade ago. Tsarnaeva and her ex-husband returned last year. Prosecutors say Tamerlan Tsarnaev and his brother, Dzhokhar Tsarnaev, carried out the bombings three weeks ago using pressure cookers packed with explosives, nails, ball bearings and metal shards. Three people died and more than 260 were injured near the marathon's finish line. Dzhokhar was captured and remains in a prison hospital. He has been charged with using a weapon of mass destruction and faces a potential death sentence if convicted. A friend, Robel Phillipos, was released on $100,000 bond Monday while he awaits trial for allegedly lying to federal investigators probing the April 15 bombings. Phillipos, 19, a student at the University of Massachusetts Dartmouth with Tsarnaev, was charged last week with lying to investigators about visiting Tsarnaev's dorm room three days after the bombings. He faces up to eight years in prison if convicted. "We are confident that in the end we will be able to clear his name," defense attorney Derege Demissie said. Phillipos' friends and family packed the court Monday to support him. Two other friends from UMass Dartmouth have been charged with conspiring to obstruct justice by taking a backpack with fireworks and a laptop from Tsarnaev's dorm room. They remain jailed. Also Monday, bombing victims and their families met with the administrator of the One Fund Boston charity, which has already taken in more than $28 million in donations to help those injured in the bombing. A second meeting is scheduled for Tuesday morning. Kenneth Feinberg said the families of those who lost loved ones and people with double amputations or permanent brain damage would receive the highest payments. Victims with one limb amputated will be the next highest priority, followed by those who were hospitalized for one or more nights with injuries. "Money is a pretty poor substitute for what you are going through," Feinberg told those at the meeting. Feinberg said he deliberately did not set specific dollar amounts for specific types of injuries because there isn't yet an official tally of the injuries and the fund could grow. But he did say the families of those killed or those who had limbs amputated could receive up to $1 million or more. Compensation for those who were injured but not hospitalized, or those who suffered mental trauma, is still an open question, as is compensation for business owners who had to shut their doors for days during the investigation. Feinberg said his goal is to get the money from the fund to victims as quickly as possible. He set a May 15 deadline to get final claim forms into the hands of all those who are eligible. They will then have one month to file. After June 15, when all claims are submitted, he and his team will work out who gets how much from the fund over the following ten days. He hopes to send out checks by July 1. Liz Norden, whose two adult sons each lost a leg in the bombing, was among those who attended the meeting. One of her sons in still hospitalized and the other is in rehab, and she said she is focused on caring for them. "This is new to me," she said after the meeting. "I don't know what questions I'm supposed to be asking or not asking." This segment aired on May 7, 2013.